I had the privilege this past weekend of photographing my dear friend Gloria’s son’s wedding. 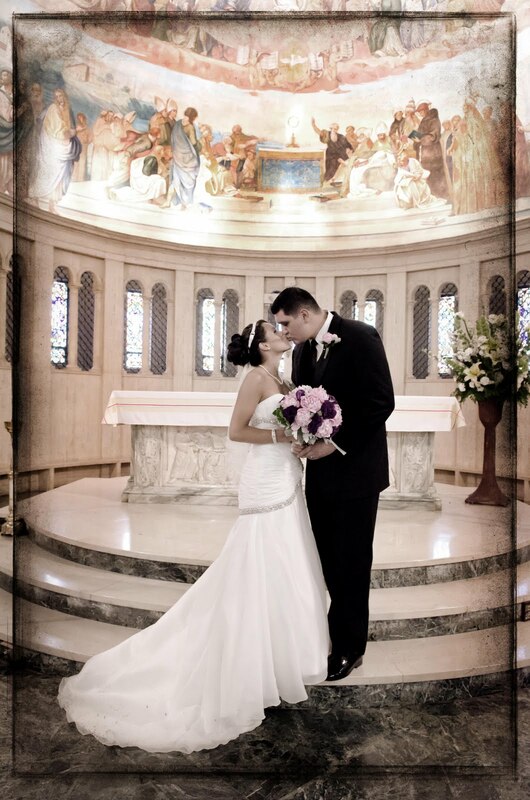 Anthony and beautiful bride Venesa live in Johnstown, PA and planned their entire wedding from across the country. 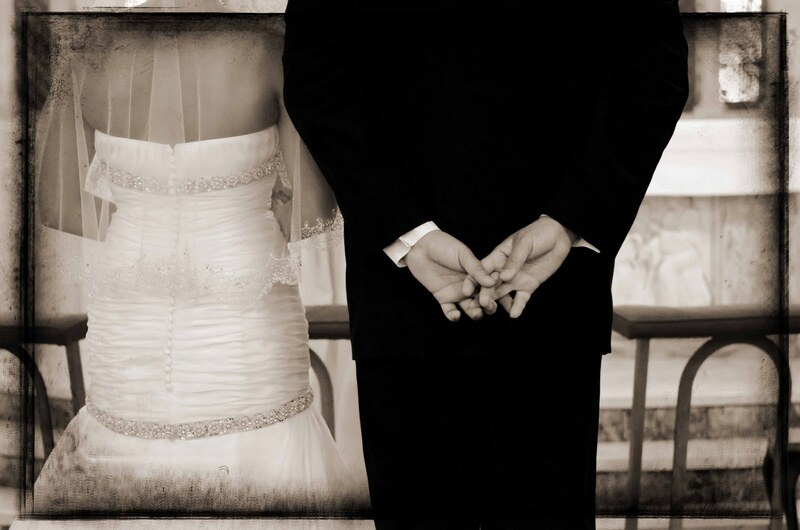 There were many e-mails and phone calls up until the day of their wedding. 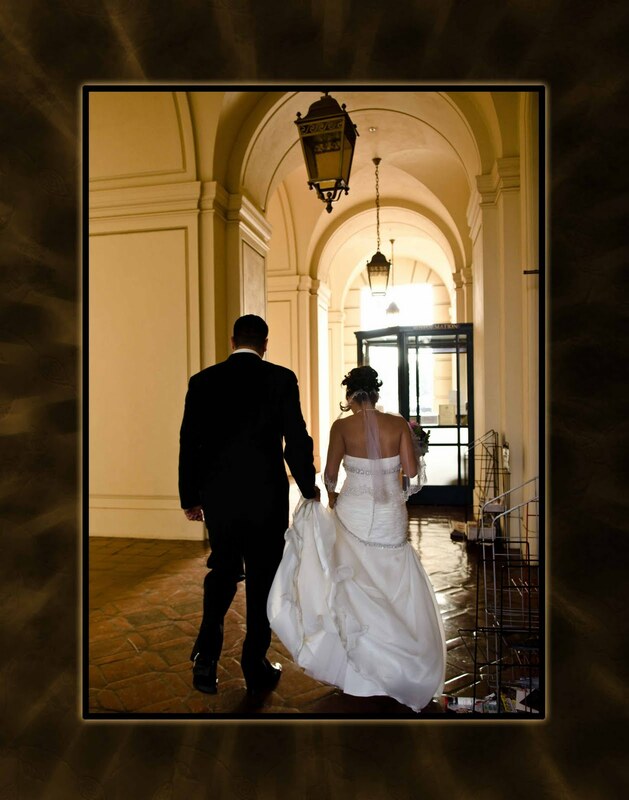 After two years of careful planning and much ado, I must say they had a perfect day….a perfect wedding! Good job Venesa! (You too Anthony!) 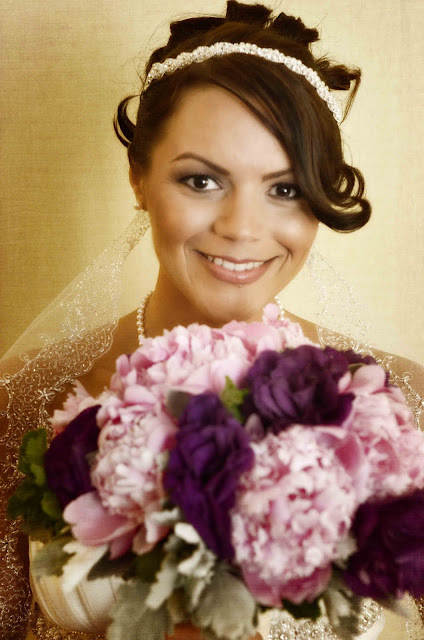 My beautiful bride, Venesa. Pure as snow, delicate as a white rose. 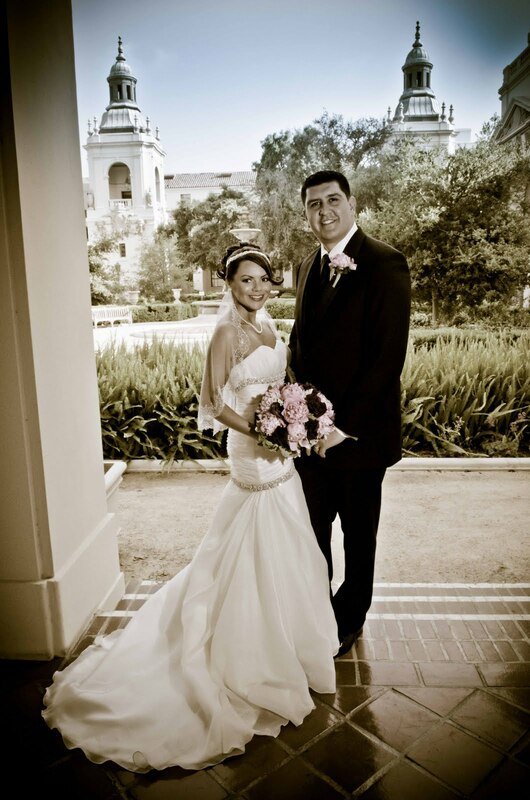 I love this shot of Anthony and Venesa walking through the corridors of City Hall, downtown Pasadena. 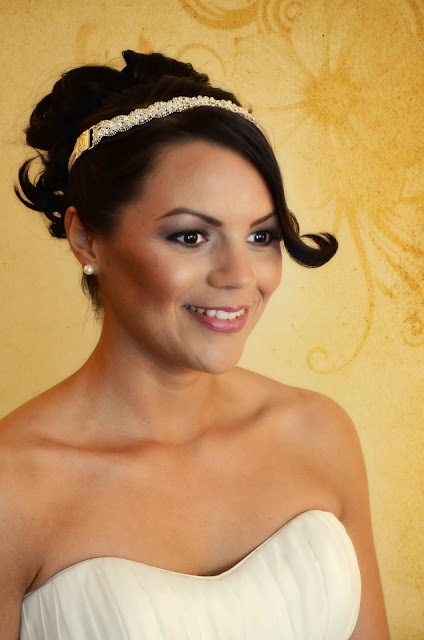 The lighting was an ideal five o’clock illumination piercing through the front doors with a subtle glow emerging from behind, perfect! 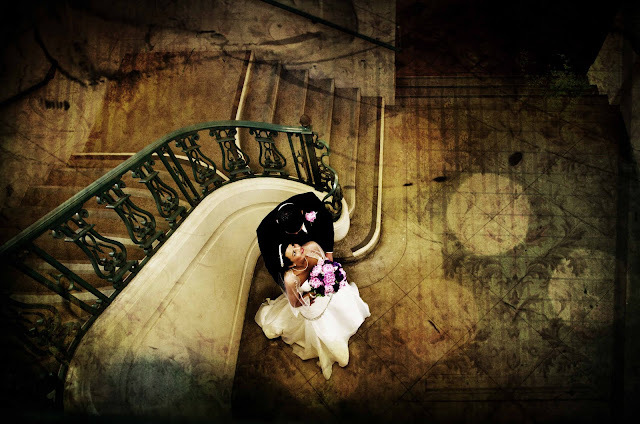 What man can honor thy wife as to cross they fingers in vow of luck of his life. 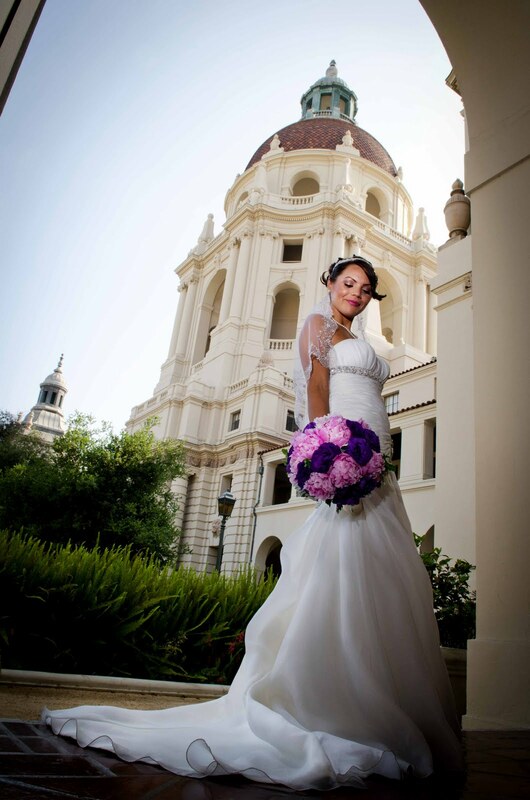 Anthony and Venesa stand stunningly in the courtyard of the downtown City Hall in Pasadena. Venesa gazes into Anthony’s eyes, hoping to hold on to this moment forever. Venesa holds out her bouquet with a modest smile. One of my favorite photos was actually derived from my discard file. Something told me this photo was essentially telling a story. 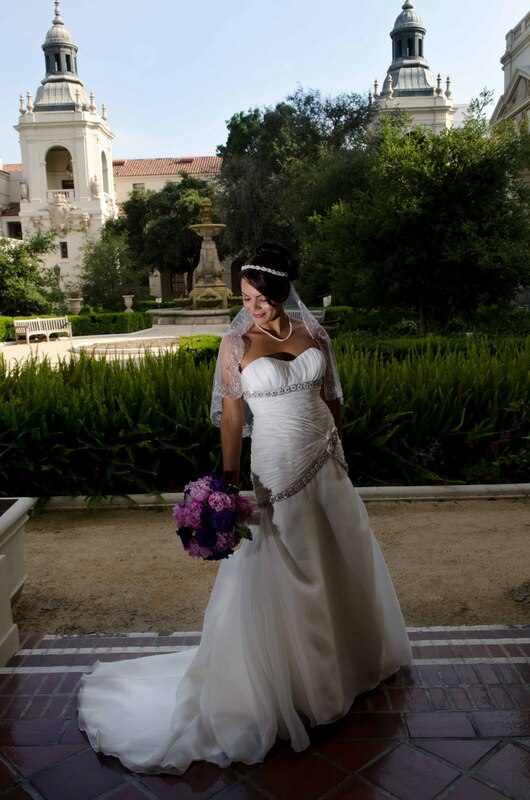 Venesa stands reminiscing the former life she lived and looks forward to the next chapter of her life. 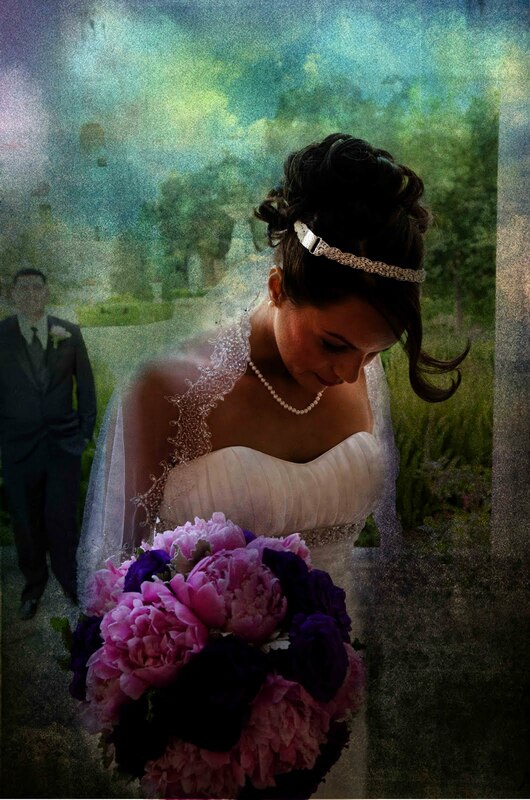 Anthony gazes at his new wife with love in his heart and eagerness of what lies ahead. 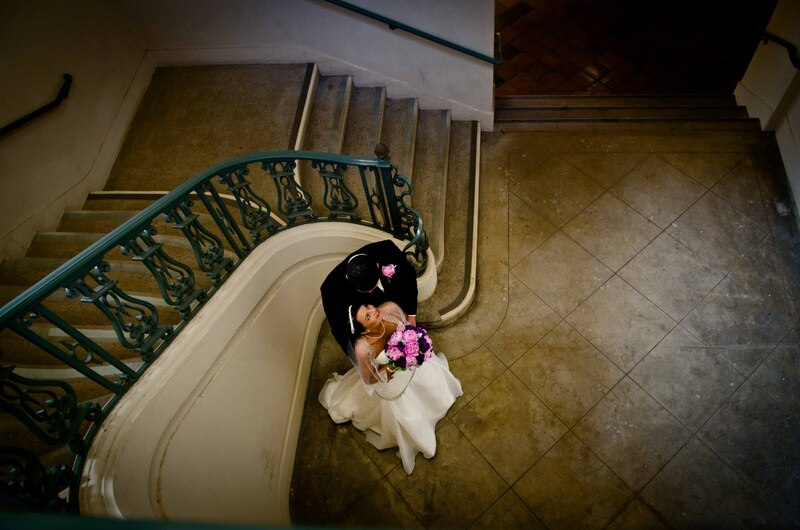 In the lower level of the rotunda, Anthony and Venesa take a moment to slip away into the arc of the staircase for a quick but sweet glimpse of each other. 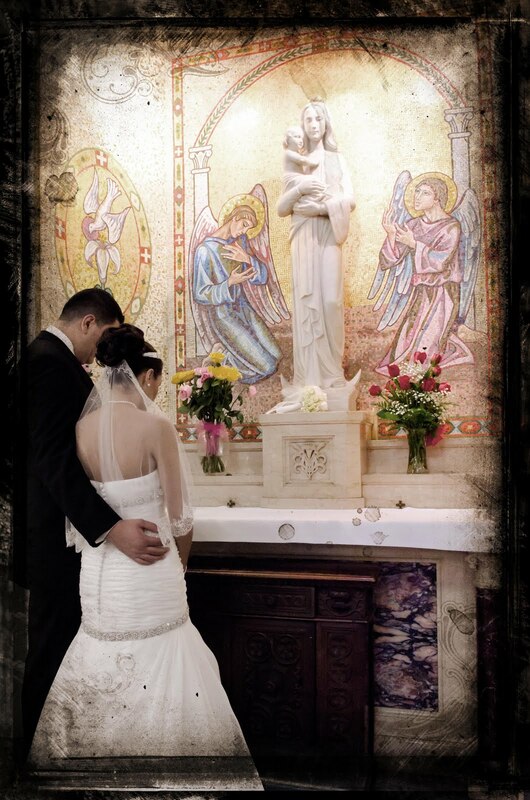 There’s just something about church weddings…………….